Visit us on Broadway to enjoy the original Coffee Pot sandwiches. Keeping with tradition, Coffee Pot fillings consist of green peppers, onions, tomatoes, seasonings, toppings (salami, ham, turkey, roast beef, tuna or egg salad, cheese and pickles). We use freshly baked white or wheat rolls, and gluten free buns from local bakeries. Signature deliciousness! Stop in and enjoy your sandwich at one of our tables or if you’re in a rush, call ahead to place your order and drive thru our convenient pick-up window. 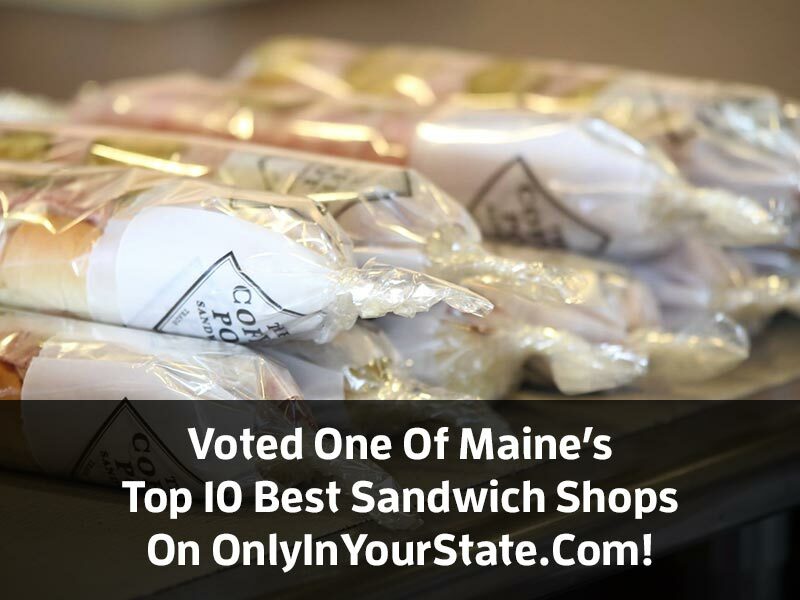 The Coffee Pot sandwich is a known staple of Bangor, stop by today to taste the “tradition” for yourself! Do you love our sandwiches but live too far away or want to send a perfect gift to a sandwich lover? McLaughlin’s Seafood will gladly ship our sandwiches all over the U.S. Simply call McLaughlin’s (800-222-9107) to arrange your overnight delivery. It’s that easy!